State of the art polishing provides you with a show quality product. 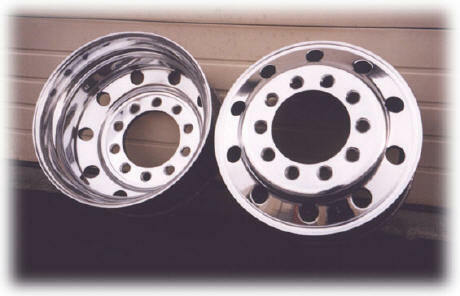 Aluminum wheel rim flange bead repairing available - repair and save! Reconditioned and polished wheels for sale or exchange your old wheels for ours!